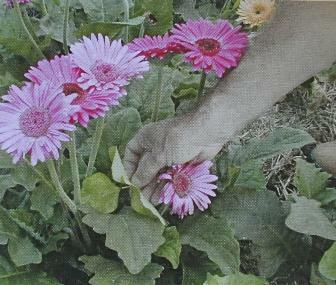 Cut flowers, nursery crops, strawberries, vegetables, deciduous fruits in coastal areas, tropical fruits. Predatory mite. Prefers warm and humid environments. Voracious feeder on all stages on TSM. Able to hunt out mites in dense foliage. Tolerant to some insecticides and most fungicides. TSM egg - top right, persimilis egg -bottom right. 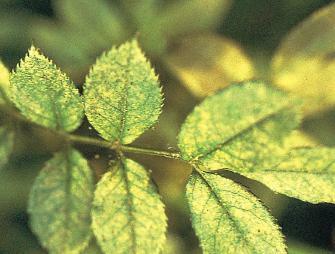 Persimilis are supplied in various ways:on soybean or French bean leaves or in a vermiculite mix. The bean leaves are simply placed amongst foliage of infested plants. 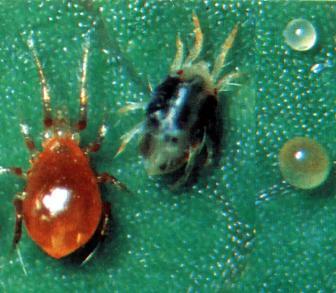 Initial introduction should be followed by regular smaller releases in mite susceptible plant varieties. Early identification and treatment of "hot spots" is recommended. Suppliers supply more detail on usage and see PDF below. Initial release: one pack of 10,000 (all life stages) per 200 m2. Outdoor crops: one pack per 500 - 1,000 m2. Or view or download a PDF file of the Book entry for Persimilis.